Me and my mom usually love to look for restaurants that offer good food at a cheap price however, these two don't usually go together. 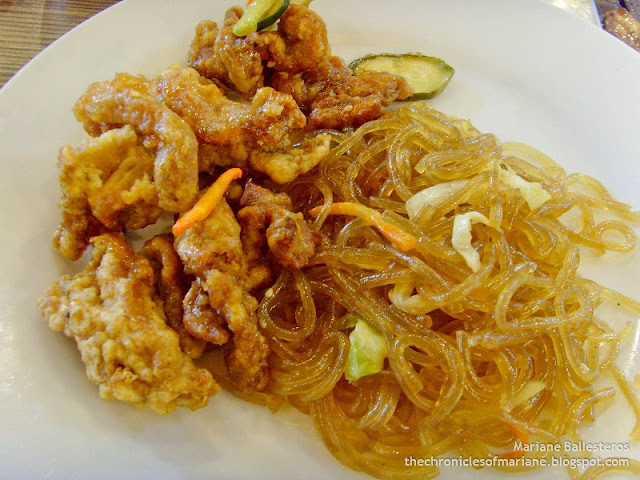 So one time, my mom has heard from a friend about a place that offers Korean food buffet near Caloocan and I got curious when she told me about it. I researched about it and found about the restaurant called Don Day in Quezon City. I invited my family and friends to go there and try, which were soon followed by more and more visits. 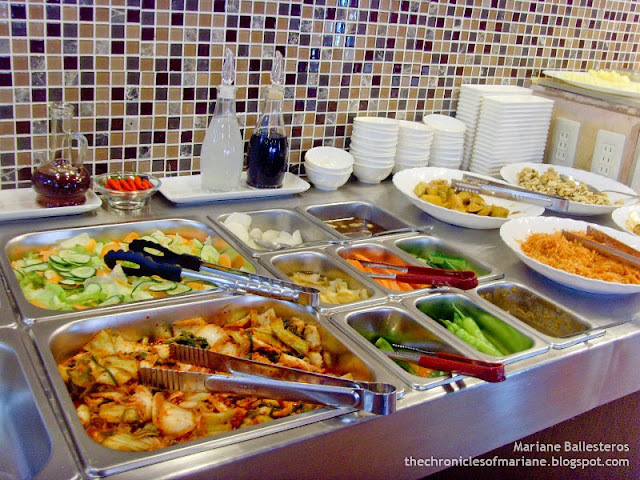 Don Day is a Korean restaurant that offers buffet at different prices. If you just want to eat food offered at the buffet table, which is just like your average dishes similar to what you could see at Tramway, the price is 199. If you'd like to have Samgyupsal added, then you have to add 100 pesos more for the pork and 200 for the beef. 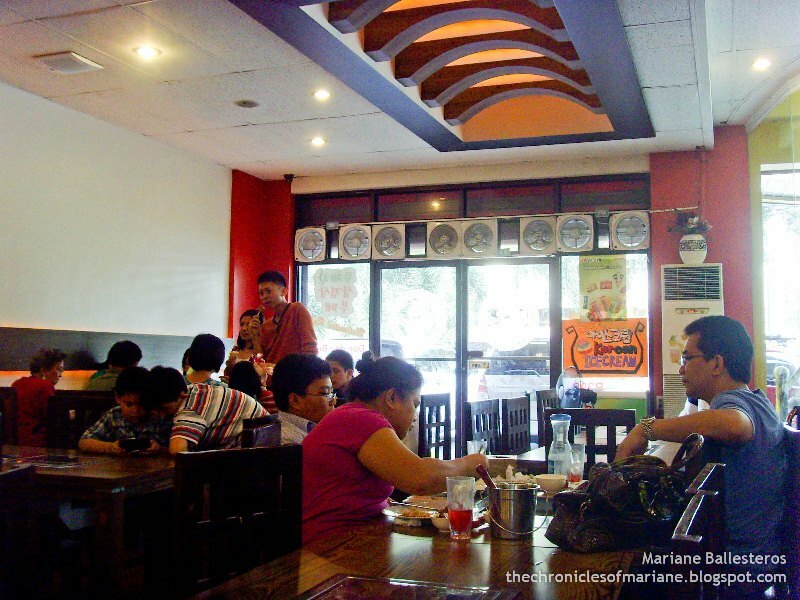 They also offer unlimited iced tea for an additional fee of 50 pesos. Super swak sa budget! This branch in Timog has air conditioning and well ventilated with the electric fans too so you don't smell like barbeque afterwards. The area was medium-sized, probably more or less than ten long tables, during holidays, better to reserve to make sure you'll have available seats. I always see the owners of the place everytime I visit, and they are very very very friendly! Their Filipino staff were really nice as well. They (including the Korean owner) would usually assist us with our Samgyupsal. The husband would also check up on their customers, asking if we needed anything, if we liked the food, etc. 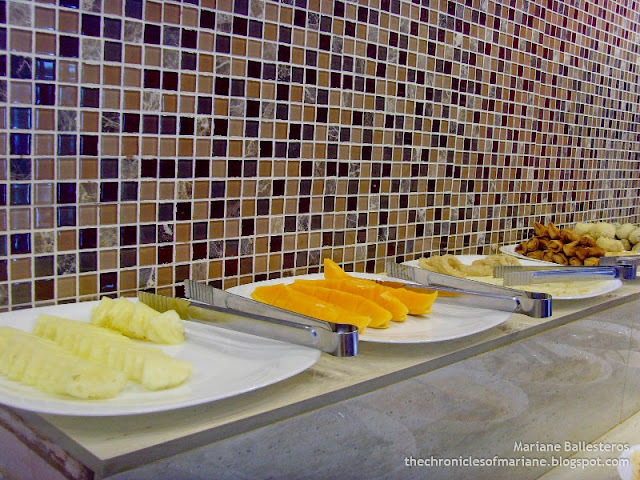 Their Pinoy staff are always prompt on refilling the drinks and meat on our table, and even providing water and ice when needed. Korean and Filipino hospitality at its best! 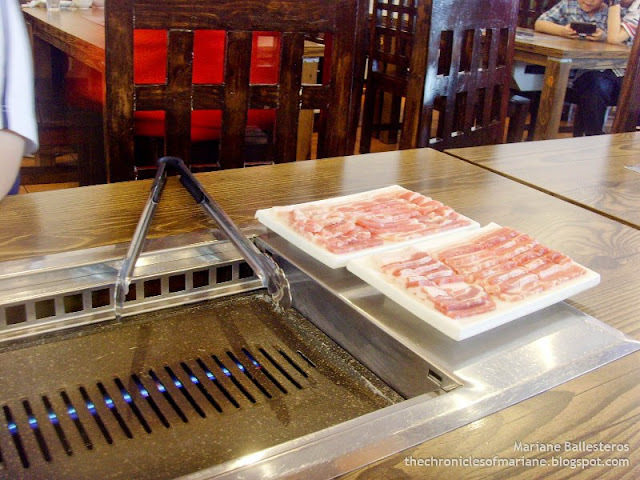 One thing that makes me want to go to these places is the experience of cooking the meat on your own grill. There's a thrill while waiting until the meat gets cooked. The staff are very attentive in case you have your hands full on cooking the meat or you need the meat to be refilled, there's always someone to assist. I couldn't really remember how many slabs of meat I finished. haha Samgyupsal is indeed the best! If you're not familiar on how it's eaten, you can eat it together with a Ssamjang(chili paste, soybean paste, and sesame oil) or Gireumjang (salt, pepper, and sesame oil), enclosing it up with a leaf of lettuce and you're good to go. 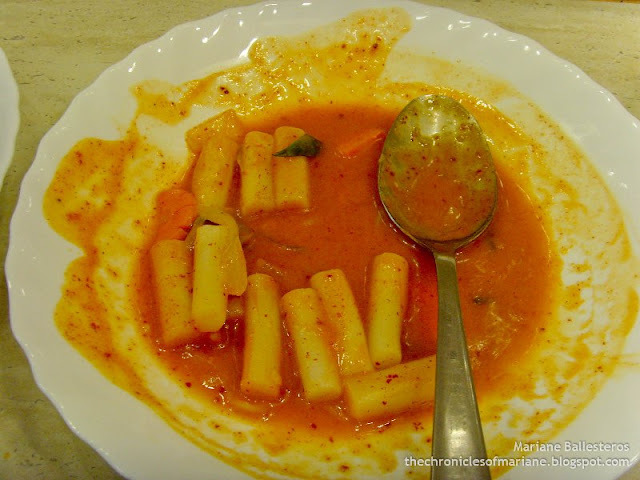 I usually have mine with the soybean paste which makes the taste of the meat more flavorful. 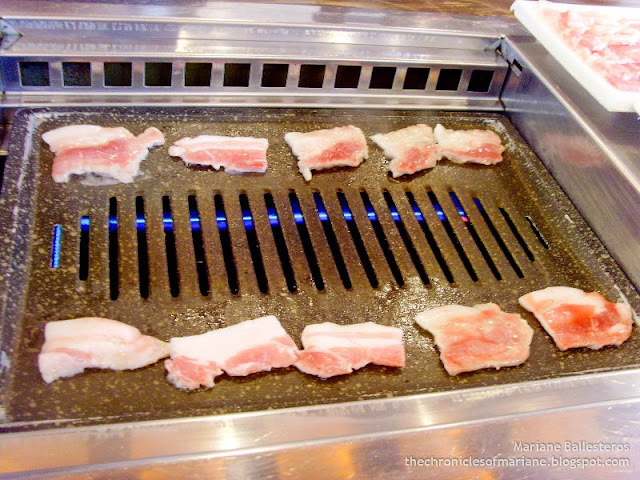 My friends eat it with Gireumjang, which for them makes the samgyupsal more tastier and juicier. You could also add shiso leaves that leaves a mint aftertaste which is also available in the buffet if you want to add that extra twist in your meat. 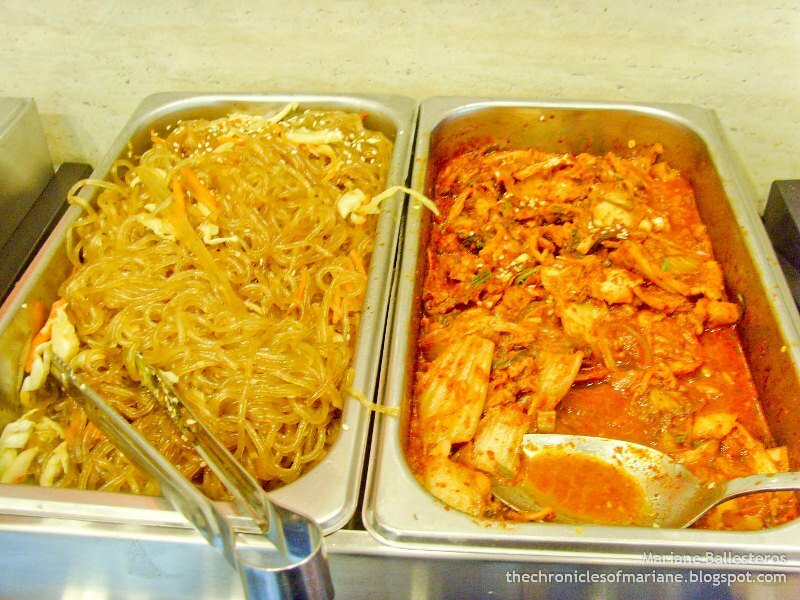 Some of the Korean favorites in the buffet were worth noting too. They don't really have a very extensive selection so don't get your hopes up, but I guess the basics are there such as kimchi, fried rice, and jeons. I especially loved their Capchae and Tangsuyuk. The Chapchae was not that oily and was perfect! 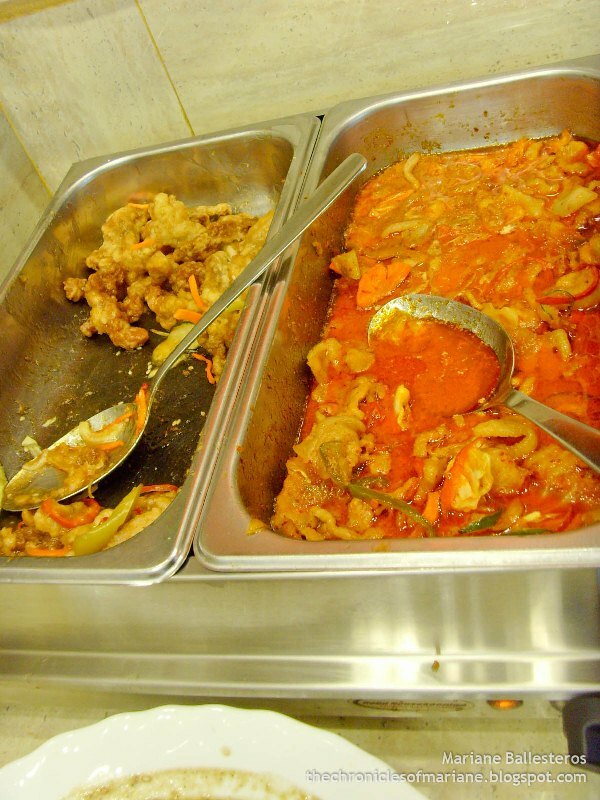 And you know my adoration for sweet and sour pork, so I liked the Tangsuyuk, which was the Korean version of the dish. 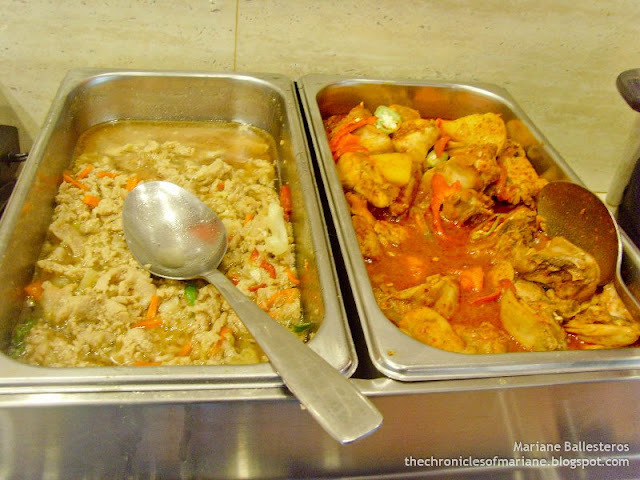 Aside from the ones mentioned, I thought the other dishes available were not bad. Their kimchi was pretty good. Their other appetizers such as nuts, Kangnamul or bean sprouts and mini potato balls were sure fun to munch on. 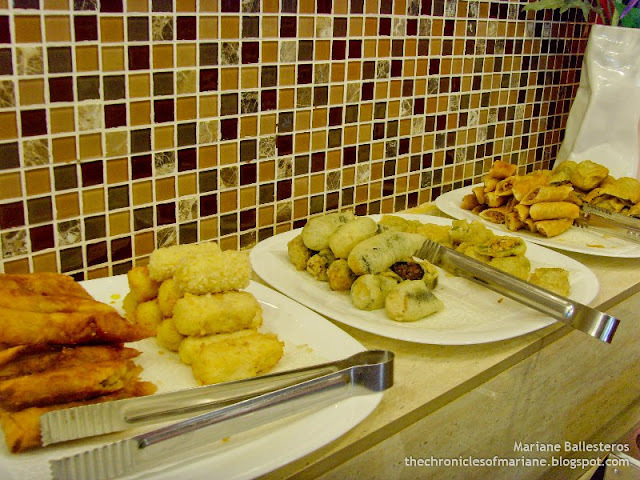 I guess the fried selections such as spring rolls, cucumber Tempura, pajeons, kyeranmal, are not to be missed especially if you're a newbie of the Korean cuisine. 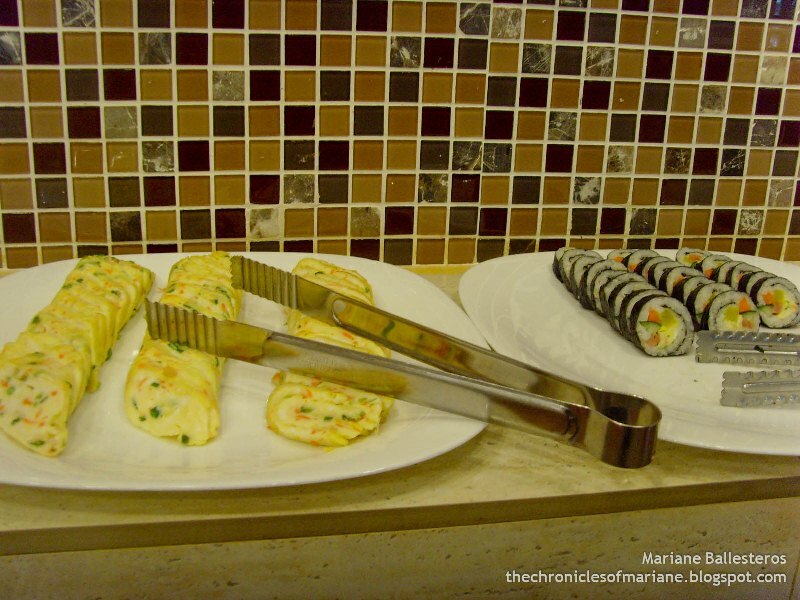 I thought that you could pass on the kimbap though, unless you really want to eat rice. The tteokbokki was so-so and not comparable to the ones I had in Korea, maybe their sauce was a bit bland. The other dishes they had that I wasn't too familiar with were pretty nice too. 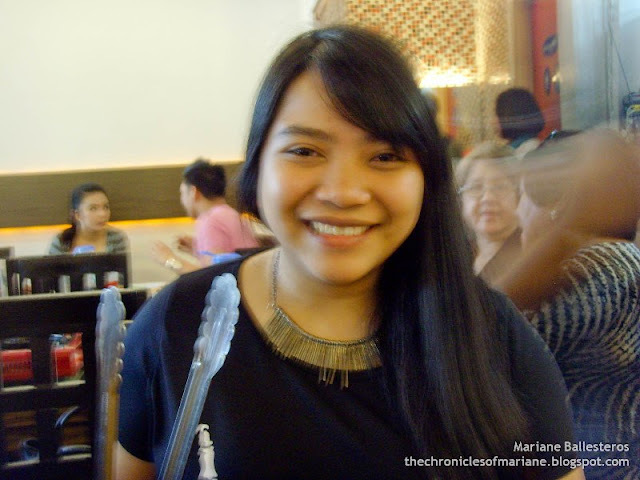 They had this viand that looked like Afritada which I liked. 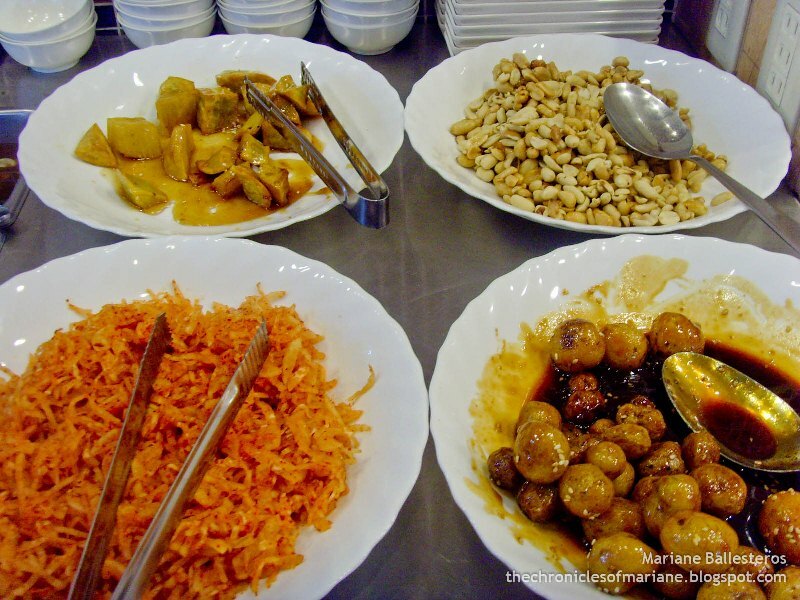 Maybe next time they could also add names to identify the foods being served, it's a nice addition to cater those who are eating Korean food for the first time at Don Day. 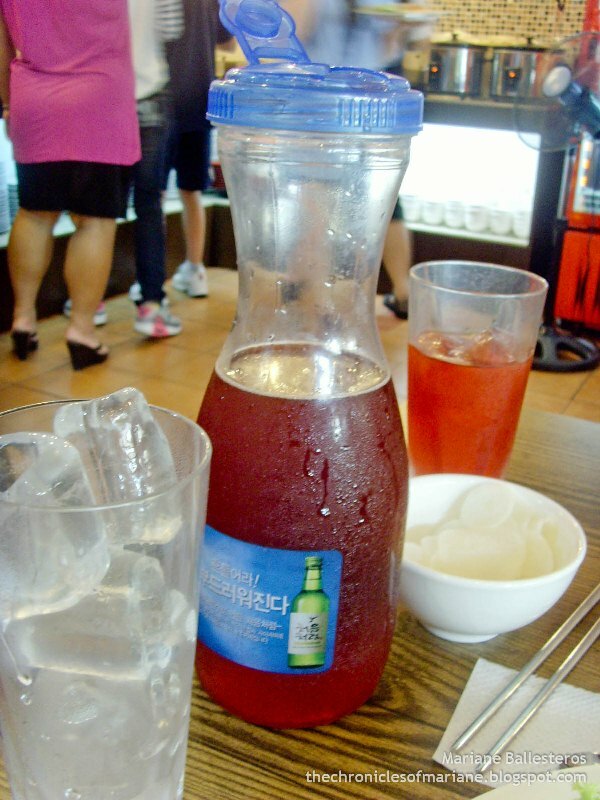 To wash off the umay, we always get the bottomless iced tea since eating too many samgyupsal would feel boring afterwards, so some sweet drink might help. If you're not into juices, then the fruits available at the buffet such as pineapple and papaya are available too. Accessibility/Location: 4.5 - There are trikes and jeeps are available, and if you're feeling to energetic, you could also take a walk from MRT that could take approximately 10-20 minutes. Ambiance/Staff: 4 - I wanted to give a 6! 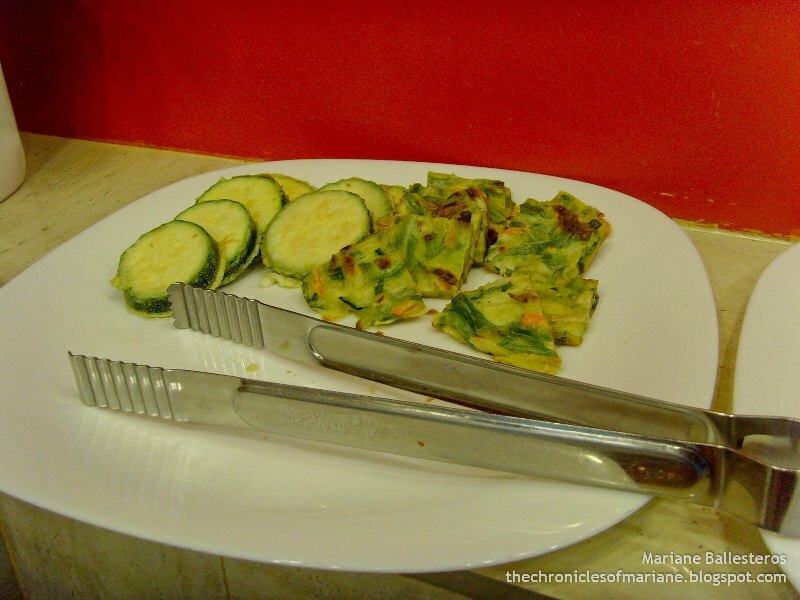 I really feel at home at Don Day Fresh Timog branch. I couldn't say anything bad about the service. The owners know what they are doing with their business because it reflects also on how their staff behaves and serve the customers. Food: 3.5 - You couldn't really complain for the price. 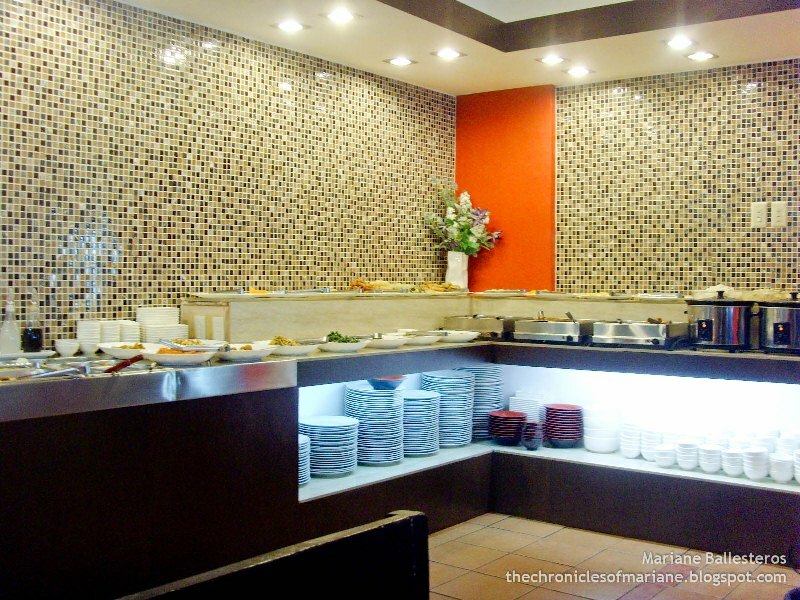 You also can't choose much with the dishes as they only have limited selection available compared to famous buffets in Manila such as Dad's, Yakimix, etc. I have been to their branch at Timog numerous times already and I notice different variations in taste of the food. 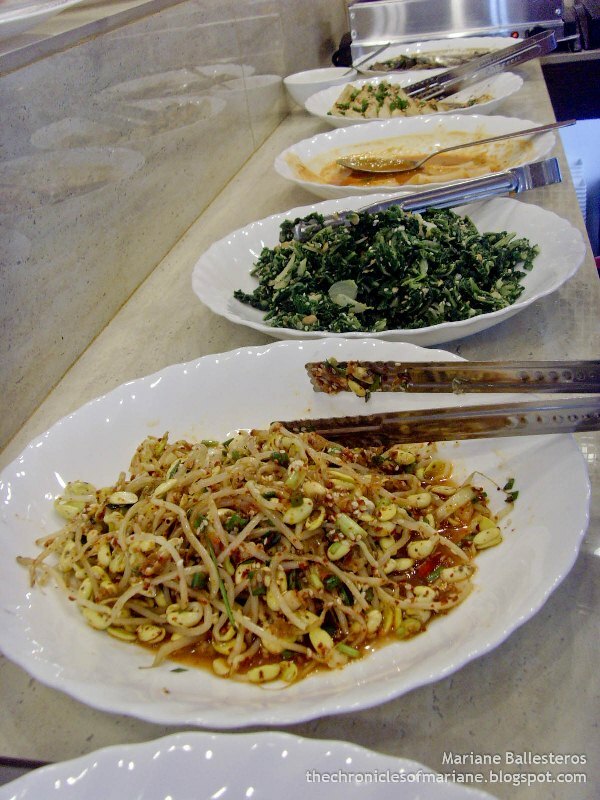 On our latest visit, the Chapchae was still delicious, though the hint of sweetness was nowhere to be found. I also remember the Tangsuyuk I had on two visits were very bland while on my first and last visit, was sweet though the meat seemed to be over-cooked. (I recall this because these two dishes were my favorites :)) Anyhow, the yummy samgyupsal that is always present in our tables is enough to make me satisfied! If this post is not enough to make you try Don Day, then I do not know what will. I have not tried their branch in Maginhawa but I really really really love this their branch at Timog not just because of the food, but with the overall service of this branch. I have recommended this buffet restaurant to all my friends and Korean fans that I am acquainted with. The buffet may not offer the best Korean food out there, but I believe that the overall dining experience is what counts the most. 1. Alight at MRT Quezon Avenue, from there you have two options. 2a. Take a tricycle near McDo and tell the driver to take you to 'Sunshine Boulevard'. Fare should be about 10-15 per person. 2b. Take a jeepney heading to Quiapo. Landmark is BIR. 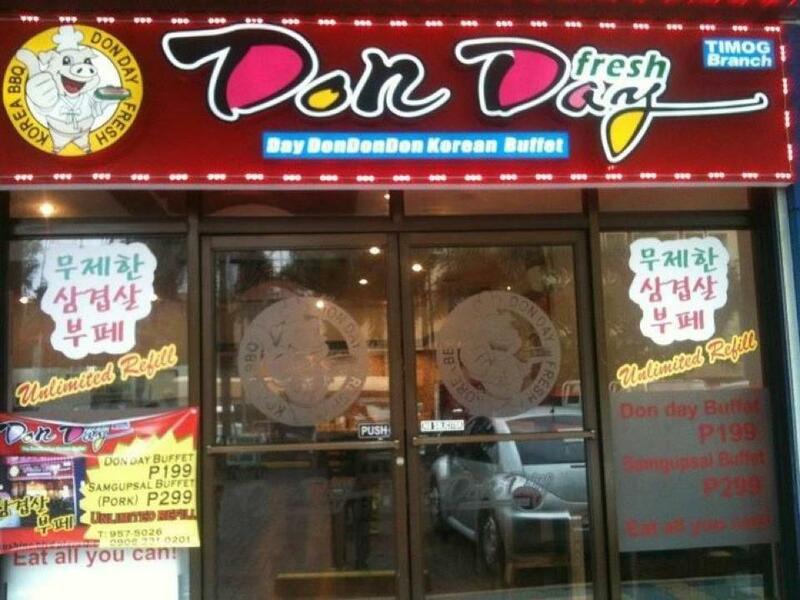 3.Don Day is located at the ground floor of the building. have you tried kulpy? Those chicken pops in that sweet spicy sauce with the sweet potatoes? jeez, best hundred I ever spent on food. Sarap and super dami. How much? Is it 300php+ only? so sorry to hear that! I haven't been to Don Day for a while now and I wasn't aware that they increased the price, is that 399 including tax?